Sridhar Mosur, Satish Thakkar, Vijay Sastry, Vijay Pandya. 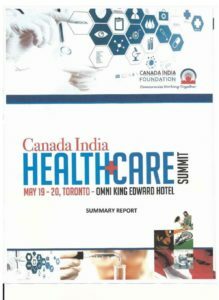 Innovations in HealthCare Delivery, HealthCare Research and Collaboration Initiatives, HealthCare Policy and Going Forward. Gautam Khanna, CEO, P. D. Hinduja Hospitals, India. (c) 2018. All Rights Reserved.